25 years in counselling psychology. For 25 years of my life I taught counselling psychology at the University of Manitoba. 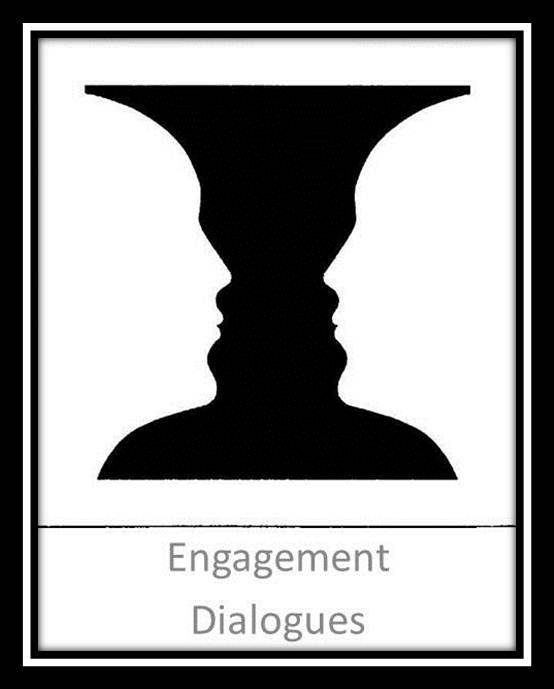 Engaged listening is a foundation for counselling and I also believe it is a foundation for management and leadership as work has become increasingly social in nature and method. More listening, less surveys in employee engagement. With my current focus on engagement I reflected on how powerful engaged listening is as an approach or tool for engagement. Engagement means connection and when we listen we powerfully connect with another person. I think we need more interpersonal listening and less anonymous surveying in employee engagement. Disengagement should not be a punishable offence it should be a trigger to listen to the disengaged person to connect, learn, and help determine what needs to be done. Anonymous surveys are sometimes used because employees are not trusted to give an honest response if they are identified. In this case you have a trust or a psychological safety problem at work that may be the foundation of your engagement challenges. One request followed by lots of listening. You can’t listen to someone if you don’t know who they are because they only responded on an anonymous survey. Listening let’s employees know that you want to connect and that you want to really learn. Let’s change lengthy employee engagement surveys into one request (Tell me about your current engagement with work, the organization, and myself?) followed by powerful and authentic listening to the response. Mantra. Make this your listening mantra: seek first to understand and demonstrate that understanding before seeking to be understood. Avoid saying “I understand” or “I know what you mean.” Demonstrate your understanding by tentatively trying to capture the other person’s content, emotion, and intention. You know you are well on your way when the other person’s says “exactly” and if they correct your demonstrated understanding you now have a better understanding. It starts with you. Listening begins with you, ensure you are strong centered and balanced. Knowing your strengths gives you a solid base of self to return to and allows you to have empathy for someone you don’t agree with or someone you don’t like. I like to think engaged listening starts with you, moves to fully empathy for the other person, and then returns back to you at the end of a listening encounter. We don’t lose our self in the other we give our undivided attention to the other. Make it simple. Make listening simple (but not necessarily easy) by focusing on the other person’s content, emotion and intention. Listen for content – what is said. Listen for emotion – how it is said. Listen for intention – why it is said. Mindful choices. Be mindful and recognize the choices you make in how you listen and the choices you make in responding. Don’t make an emphatic statement of understanding if it will tick the other person off. Be genuine and authentic in your listening. Emotional motion. Emotions are not “touchy-feely” soft experiences, they are guides and governors of our behavior. Look for the motion embedded in emotion. Core. Actively listen for the core ideas and remember you will not remember everything you hear. Right could be wrong. Watch out for the automatic “righting reflex” the deep desire to make things right for another when they present you with a problem or a concern. Listening is not a race to complete another person’s thoughts or to provide instant yet premature solutions. My advice, don’t give advice. Avoid giving advice especially if you think the person has already thought of that or tried that. Before giving advice ask the person what they have thought of or done already. Remember that advice is cheap and engaged listening is enriching. Master transitions to be where you are. Master transitions and use rituals or routines to maximize both energy and attention in listening. There is tremendous power in being where you are. You cannot engaged with listening is you are thinking about the past or the future. Don’t mull over the last meeting or start dreading your next task while someone is talking with you. You have to talk to listen. Listening is a dialogue, ensure that you are demonstrating frequent understanding and don’t be afraid to be wrong as that can be very helpful. Tentative power. Ensure that you make your initial statements of understanding tentative; this also allows you to offer strong responses or even hunches while communicating the desire to better understand the other person. Be curious. Transform any initial listening judgment into curiosity. Be open. Make frequent use of open-ended questions that gives the other person a chance to set some direction and to elaborate. In addition, work at making more statements of understanding while asking fewer questions. Be careful. Engaged listening is based on caring and also being careful. Ensure the other person knows you care for them and you care about what they are saying. If you don’t care for another person than abandon listening as it will be perceived as both shallow and manipulative. You want to slow things down a bit to ensure you understand. You want to exercise carefulness by seeing if you really do understand and creating an environment where people can tell you what they are really experiencing and thinking. Conclusion. This was a small smattering of listening tips and thoughts. I will go further into engaged listening in the next two posts in this series. You will understand a simple equation for engaged listening and learn the scaffolding for an engaged response. You will also learn more about identifying and working with the 3 main things you will listen for: content, emotion, and intention. Listening for content, emotion, and intention. David Zinger is focused on employee engagement for the benefit of all. He is the founder of the 4850 member employee engagement network. Book David to speak on engagement for your workplace or conference.